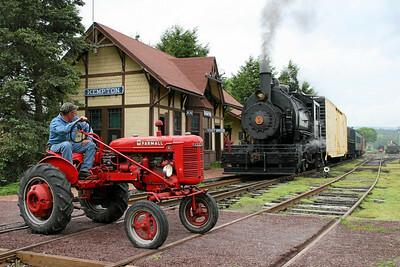 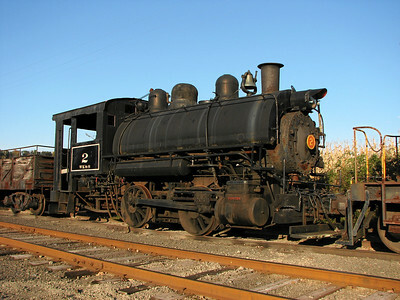 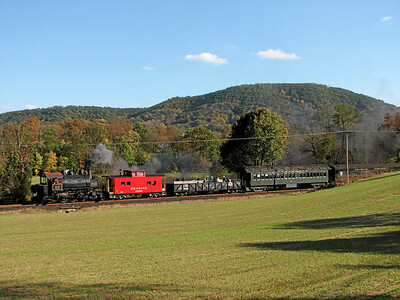 Photos from October 2006 and May 2008, featuring 0-6-0 saddle tank steam locomotive #65 (Porter built 1930) with passenger and freight trains. 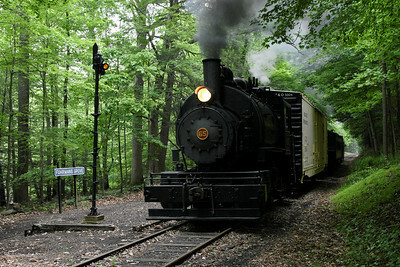 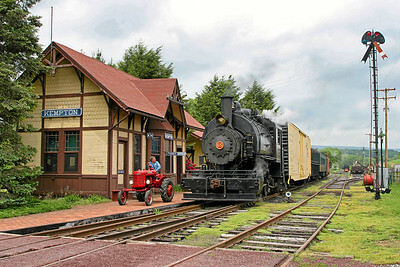 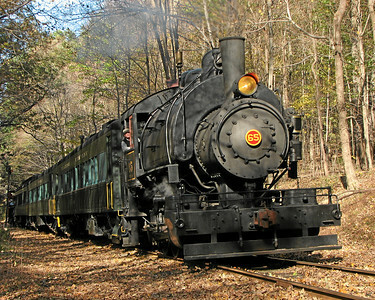 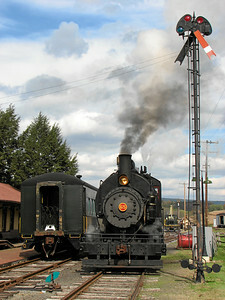 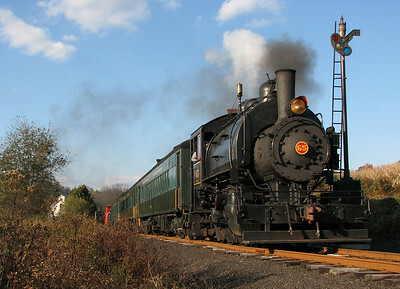 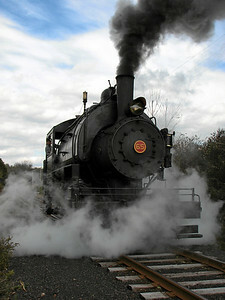 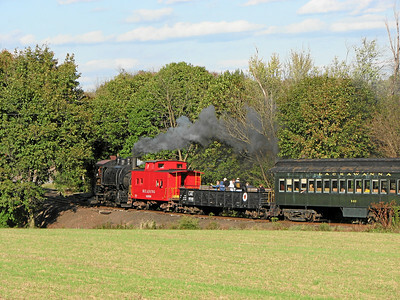 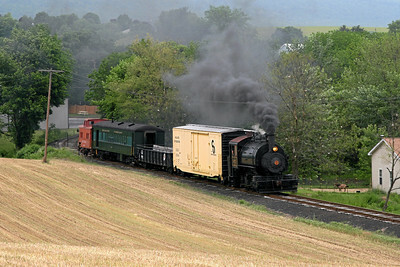 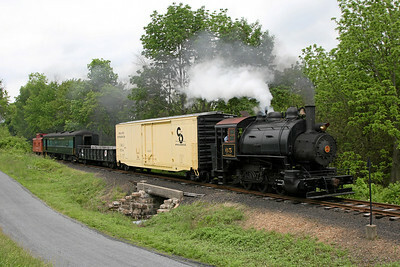 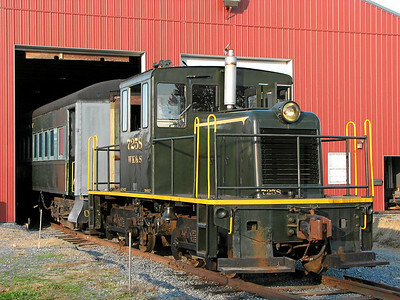 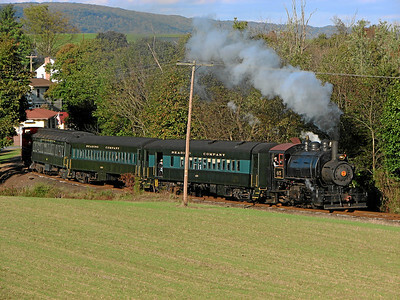 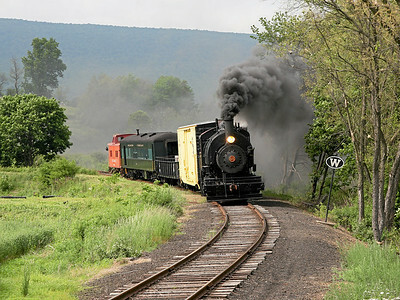 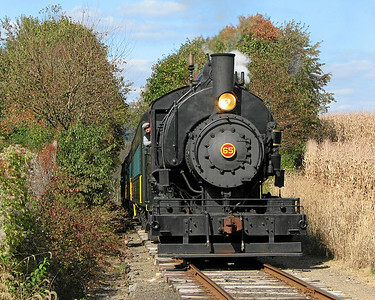 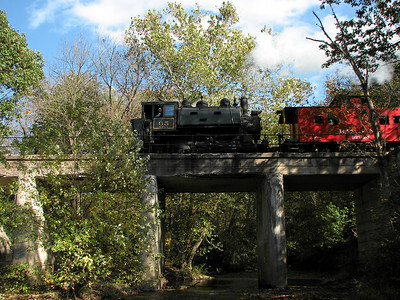 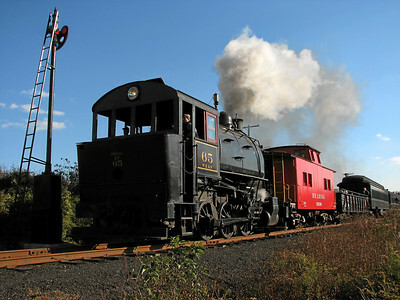 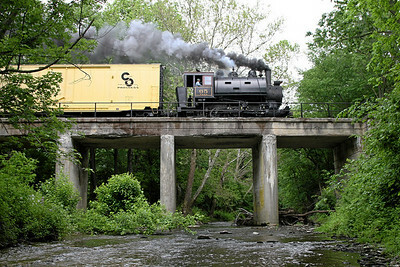 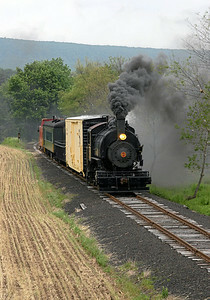 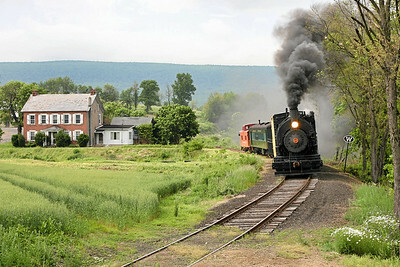 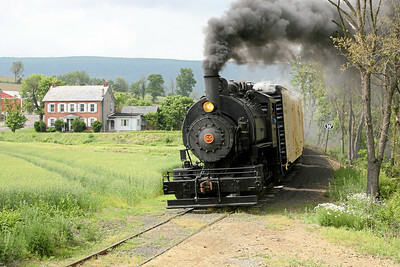 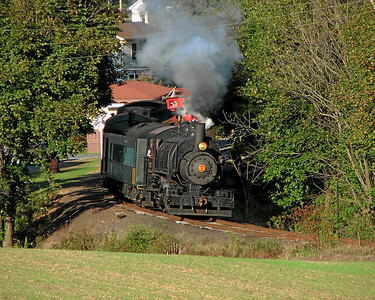 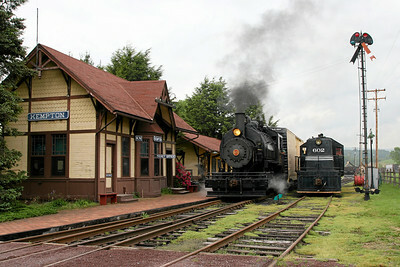 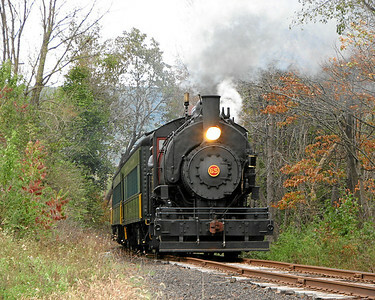 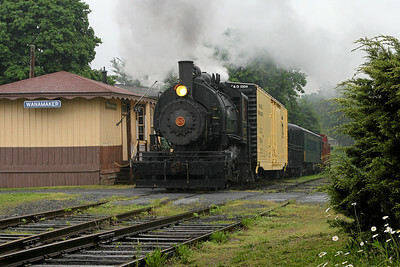 The WK&S has operated tourist trains since 1963 on three miles of former Reading Railroad track built in 1874 between Kempton and Wanamaker, Pennsylvania. 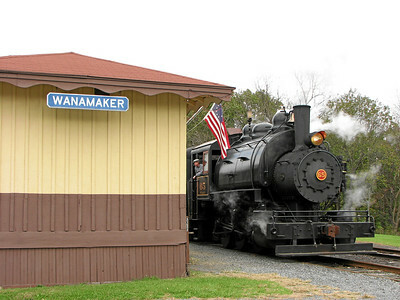 For a schedule of train rides, visit Wanamaker Kempton & Southern Railroad Website.